Diagnose 4 car systems on over 50 car makes: Engine, SRS (Airbag), ABS and Automatic Transmission coverage. 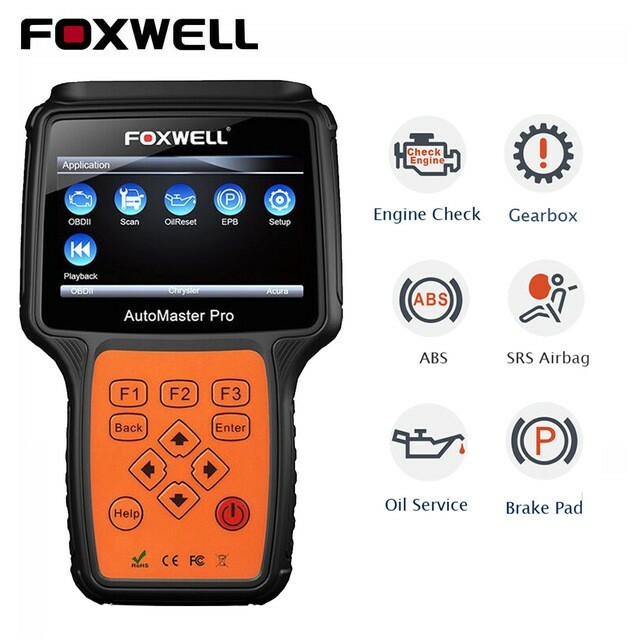 The Foxwell NT614 is a diagnostic handheld tool suitable for enthusiasts and small garages, offering 4-system coverage for a vast array of car manufacturers. The tool will read and clear fault codes from the Engine, SRS (Airbag), ABS and Automatic Gearbox controllers on a range of European, Asian and American cars. The NT614 now also includes Oil Service Reset and Electronic Parking Brake functions across a range of makes too!